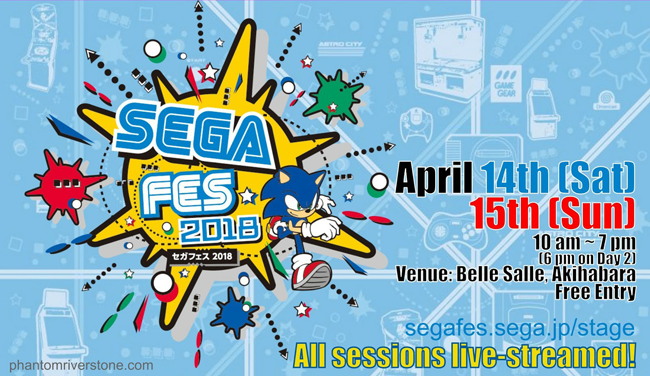 This weekend Sega Japan hosts its second annual SEGA FES event in Tokyo, promising "surprise announcements" amongst the two-day festivities, which are free to attend and will be streamed on YouTube and Twitch. As usual, the Shenmue rumor mill is creaking into motion, and as usual, Phantom River Stone has fans covered with local insight and full English translations. Will Sega use the occasion to finally #SaveShenmueHD? If not, the next Tweetathon will remind them on May 3rd. See our front page for campaign details.